I want to join the circus….but only if it’s Giffords. I want to play the accordion, I want to wear Victorian bloomers and over the knee stockings with high heel ankle boots. I want a Shetland pony and I want to learn to dance, properly. I’d like an enormous circus bell tent and a wagon serving fresh cooked pizza. I might even like a tea tent with a never-ending supply of chocolate brownies. Oh and I’d also like a goose, a real one, who follows me wherever I go. I haven’t been to the circus since I was small and have always been hesitant to go as an adult in case I might spoil the memory. Giffords is just about the best circus experience I could have imagined. I honestly can’t think of a better way to spend a Sunday morning, or anytime of the day for that matter, on any day of the week. 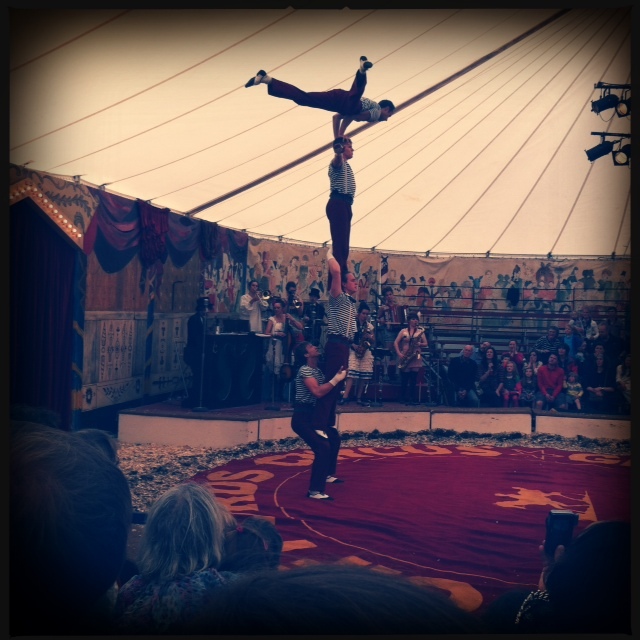 The circus will be touring until mid September and wherever you may be, it is more than worth the trip…and the pennies. We tour till mid September though, so a few more weeks to try and catch us. Oh I’m so sorry. I misread the dates in all the excitement! It was such a wonderful show. We’ll be back again…before mid September!